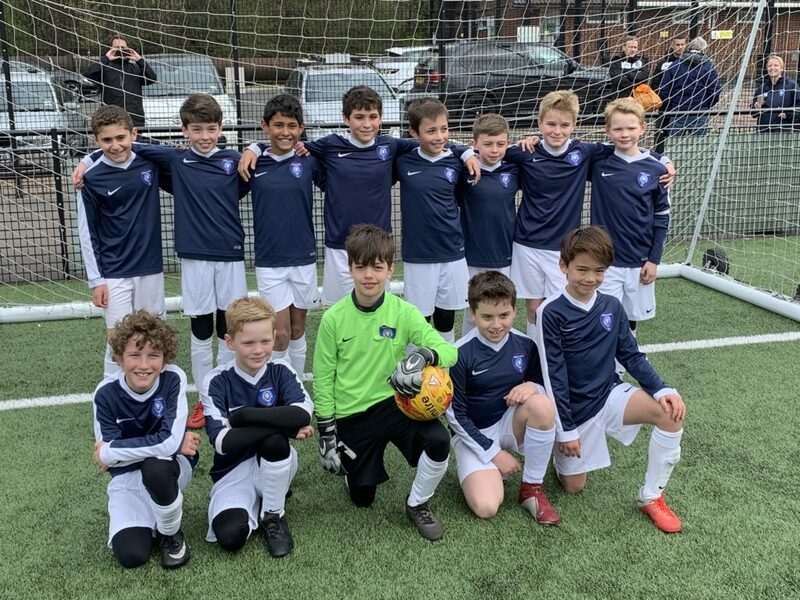 On a very cold and windy day at the lovely Leatherhead Youths ground, the Under 11 Pride were preparing to take part in their second final in two years. A quite remarkable achievement for a very talented group of boys that have built up the most amazing team spirit. 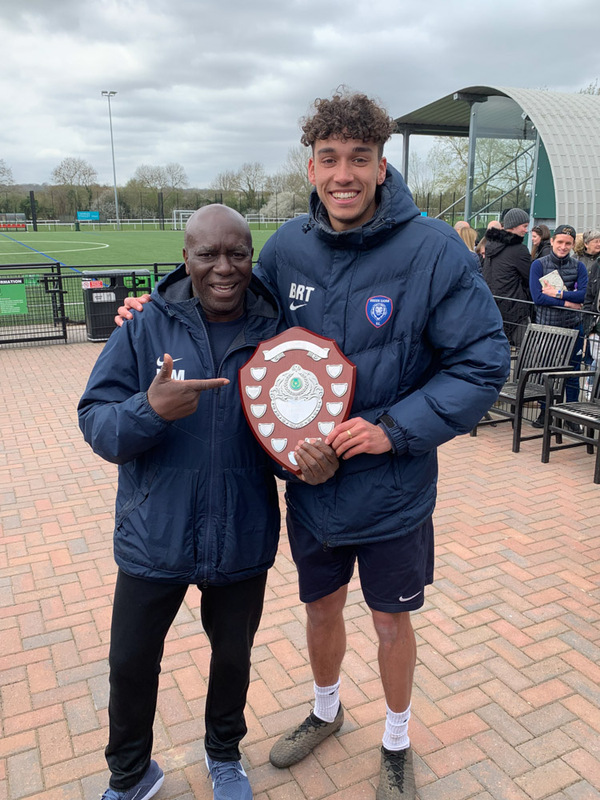 The final was against a very talented Walton & Hersham Youth side from the division above. We knew this was going to be a very big ask. 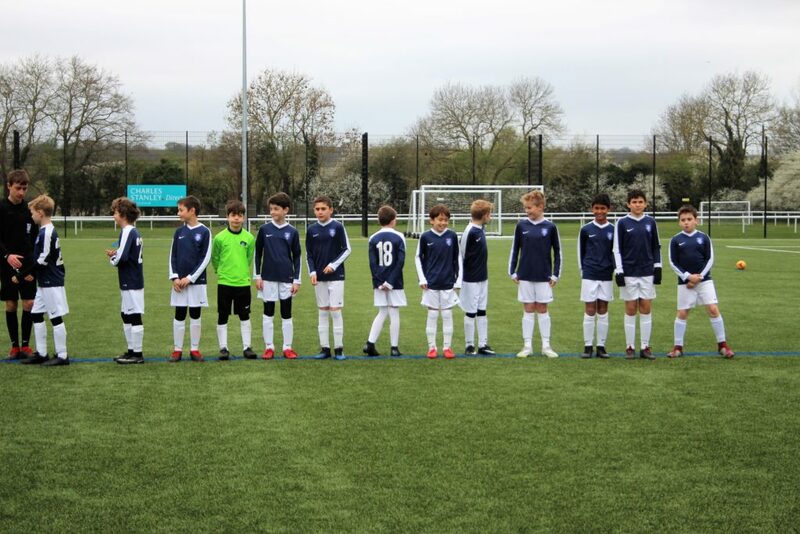 The match was played on 4G and with Bruno and Michael supporting Mel and Chris, the boys were well prepared. 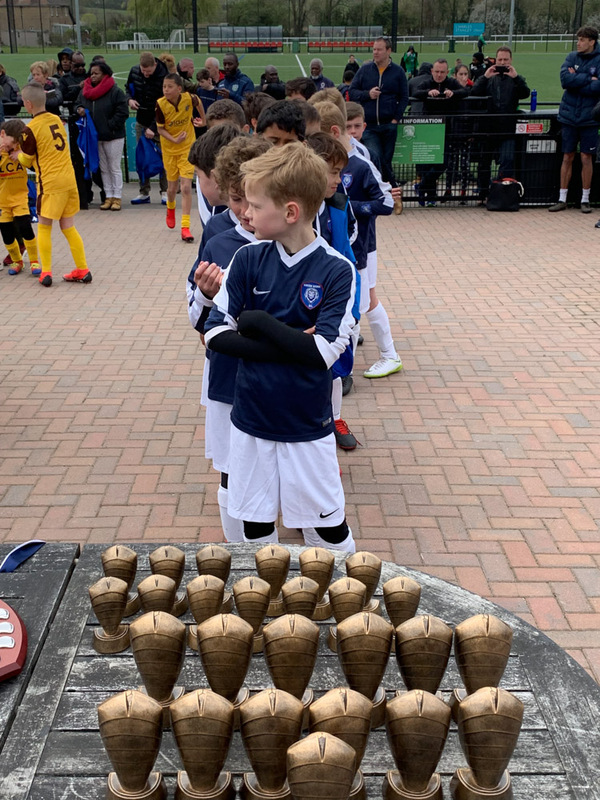 Leatherhead hosted the day superbly and the League ensured all the boys felt like superstars as they walked out of the changing rooms onto the pitch listening to the applause from a large crowd of spectators. 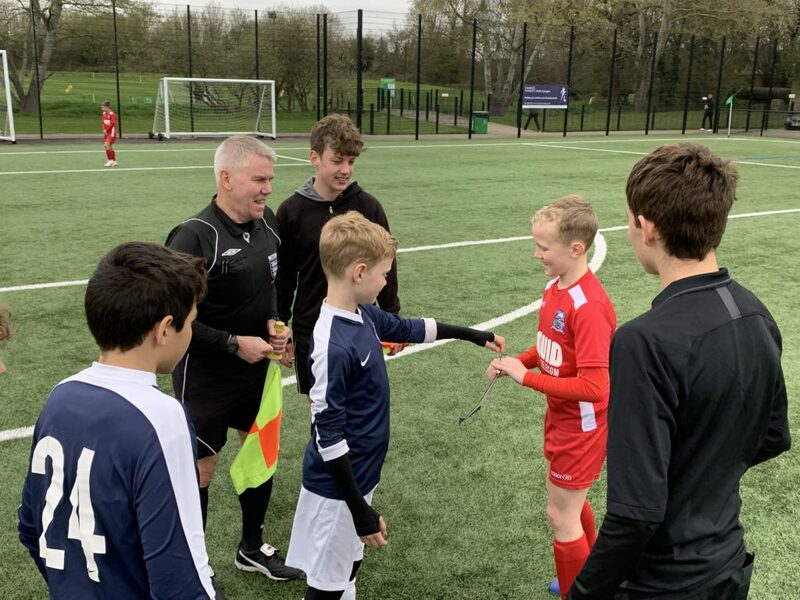 Both teams played some exceptional football but the power of some of Waltons players began to take effect and they dominated the early exchanges. Will held his defence together and Andy put in some big challenges. Most importantly Davide seemed to have glue on his gloves. Everything stuck. Walton were not to be denied and a powerful free kick from the edge of the box flew into the roof of the net. Mel turned to Bruno and said “We need to stay in this game”. The boys dug deep and needed a spark. As the Walton forward skipped into the area and was about to shoot, George A flew into a tackle. This seemed to lift the boys and the last ten minutes of the half were all Pride. George S fired wide before Jakob set him up and he made no mistake, firing a rocket into the top corner. The boys came within inches of making it two as Elliott pressed to create a chance for Charlie but it crept wide. 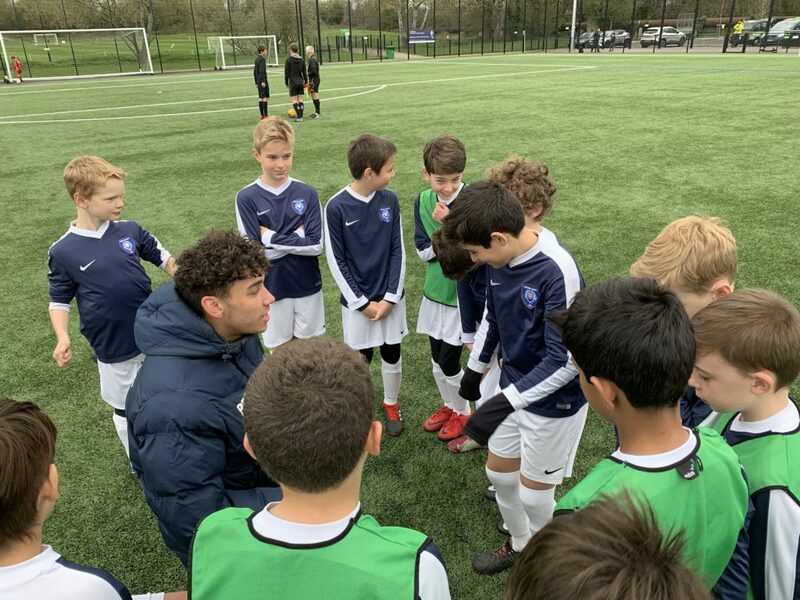 Bruno’s team talk was spot on. “Be strong, be quick and take your chances. We can win this game!” The boys believed him and believed in each other. Walton flew out of the traps. A low ball from the right somehow evaded everyone. Close, so close. More pressure down the left but Joe was not going to be beaten. Not today! Jakob came within inches of getting the ball as the keeper and defender hesitated. Not to be denied, he used his strength to win a George S cross and hit a powerful left foot volley past the keeper. Amazing but 20 minutes still to go! Walton moved up a gear. Their tall right sided player started running and shooting. Davide was flying through the area stopping everything. The defence worked as a unit. The midfield battled. Tackles were strong. The crowd were ageing. This was tense. Too tense. One minute left. A high ball towards the box. The ball came out, Harry A thumped it out to the left and the sweetest sound of the day was the final whistle. The boys had done it. Once again they had performed as a team, a unit, to defeat a team from the league above. Walton were superb. The best team we have played this season. They did not deserve to lose but the Pride did deserve to win. Sheen Lions are very proud of all of you. Well done boys!